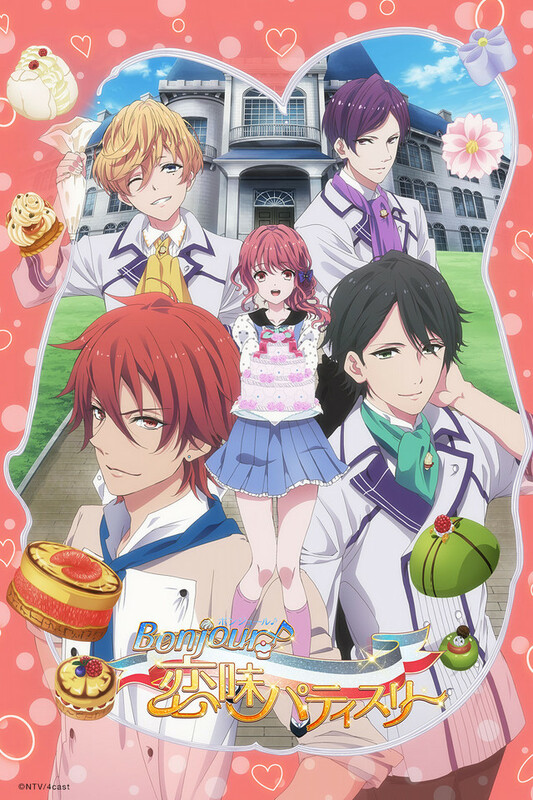 Lead character Sayuri Haruno dreams of becoming a pastry chef and enrolls in Fleurir Confectionary Academy, an elite school located in Tokyo’s trendy Aoyama district. At Fleurir, she finds herself surrounded by charming boys, each one distinctly unique. Out of the entire class, Ryo Kouduki’s desire to become a pastry chef is the strongest. Blessed with unparalleled technique, instructor Mitsuki Aoi acts like a prince and is hugely popular at the school. Gilbert Hanafusa, the mood maker of the bunch, is a student from France. Yoshinosuke Suzumi is not very good at expressing his feelings, but underneath his stony exterior lies a wholehearted passion for wagashi (Japanese sweets). Be a part of the dream-come-true sweet life that is full of attractive boys and pretty treats.